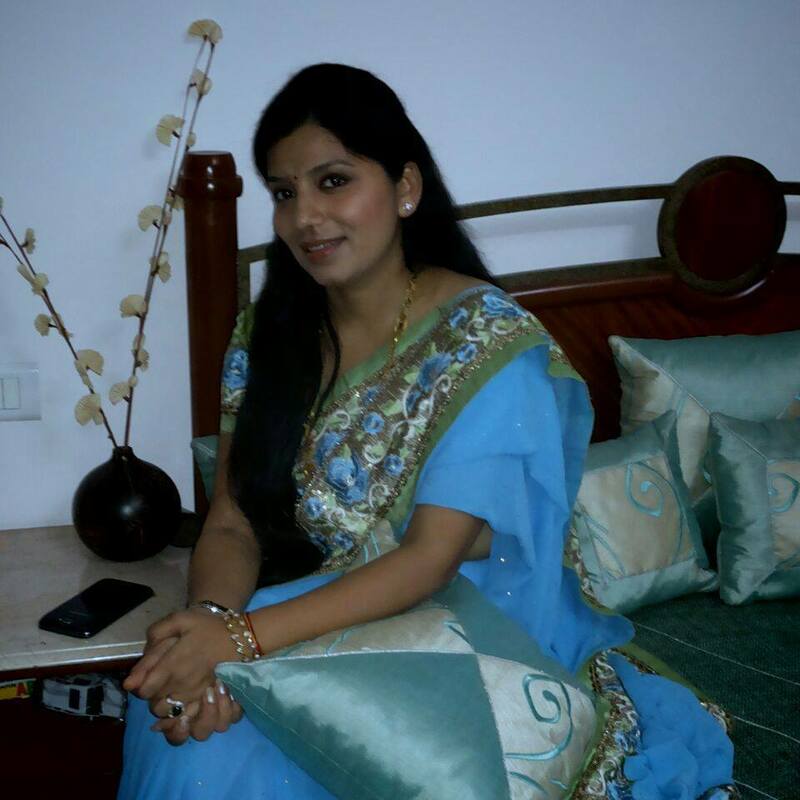 Ritu as a professional artist is highly imaginative person with an inherent talent and passion for variety of Arts. 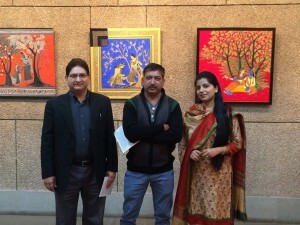 With the beginning of an Artist Ms. Ritu Gupta a renowned and extremely talented Indian artist obtained her Masters in Fine Arts from D.G Collage Kanpur University in 1995 and since she initiate as a amateur artist and refined herself well and then her works has been part of many exhibitions in India with her paintings being in art collections of various dignitaries in India. Ritu’s paintings are identified by a TRADE MARK which is registered in SHADES OF INDIA. Ritu Gupta creates gorgeous, traditional, Indian culture and village oriented art with multi-layered works filled with luscious colors and dream-like textures and imagery. With the use of bright colors coupled with the wonderful freedom of his brushstrokes and spontaneity in forms she creates works that are truly magical, inspiring, spiritual and alluring. Ritu Gupta’s paintings appeal the connoisseurs of creative art. Their appreciation and patronage in promoting the spiritual and cultural heritage of Indian contemporary art will provide the necessary spirit, practice and achieve qualitative universal appeal. When Ritu Gupta was establishing herself as an artist, the paintings are demonstrated the influence of the traditional art Indian culture and yet a hearty true style of her own, this was revolutionary. One has to note that the stream of Indian culture paintings and its message can largely traceable in her paintings. She found and explore her paintings by understanding the India’s diversity which is visible in its people, religions, climate, languages, customs, and traditions which differ from place to place within the country, but nevertheless posses a commonality. Ritu’s paintings are a sacred art, based on Shree Yantras concepts of Vedas, ancient scriptures of knowledge and wisdom of India. A yantra is a powerful meditation tool, especially constructed in traditional method of chanting sacred mantras, while painting that purity of mind and heart to be in fullest, clearest and highest expression. Recently she has launched a new Series “Empowering Love” which was widely accepted in India & abroad In which true love Personified with Traditional style with minute detailing, depicting her style of art. The Radha Krishna amour is a love legend of all times. The allegorical love of Radha has found expression in these works of Ritu . Krishna youthful dalliance with the gopis are interpreted as symbolic of the loving interplay between God and the Human Soul. This kind of love is the highest form of Devotion, and the same artist feels about art and creativity.